It doesn’t really matter what I’m doing, or when I’m doing it, I will always make time to watch one of Hayao Miyazaki’s movies. His movies just speak to me, as cliché as that sounds; the characters are so tangible, the stories are captivating, and the animation is truly magnificent. Miyazaki has always taken a lot of pride in his hand-drawn animations—which he rightfully should—and the dedication he shows to the art of animated films is evident in the works he creates. 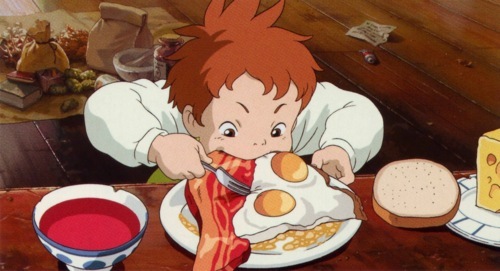 I’ve always been a big fan of movies that are quirky and whimsical, and that’s exactly what Miyazaki’s films are. So for this Funday Friday, I’m going to share my favorite movies by the master of animation. I remember so little about this movie, but it was the first Miyazaki film I ever saw. I remember watching it as a kid, and then later on I discovered some of Miyazaki’s other movies. Either way, this film holds a special place in my heart for being the very first. For a full synopsis, click here. 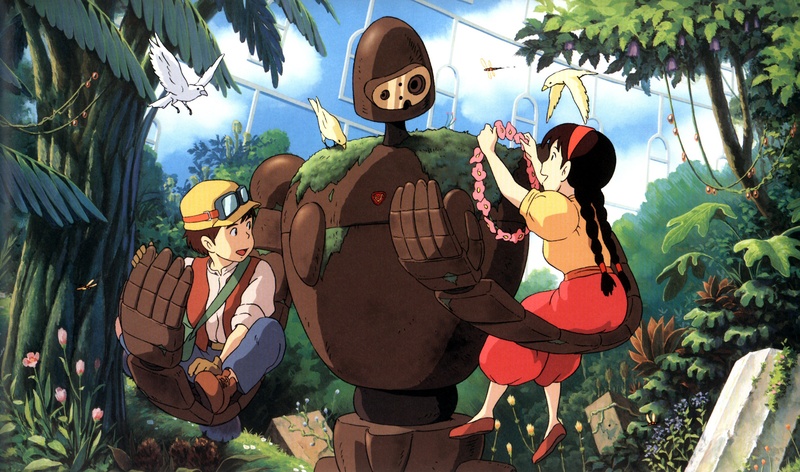 Just like Castle in the Sky, I also watched this as a kid, and I absolutely loved it. 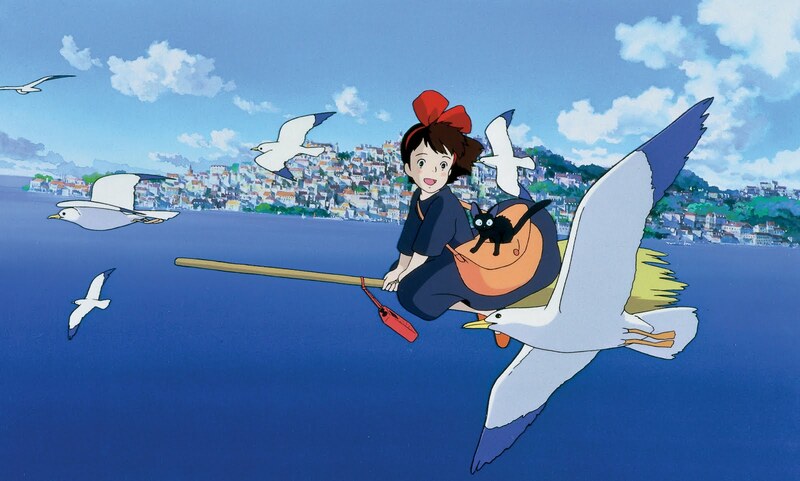 Kiki’s Delivery Service is the story of a young witch who goes on a right-of-passage journey to find a town where she can develop into a successful witch. Along with her talking cat, Jiji, they find a place to stay and a job making deliveries for a town’s local bakery. Kiki becomes famous as the delivery witch, taking goods and orders to customers on her broomstick. Kiki is so relatable and spunky, and her journey of self-discovery strikes a nerve with any young girl. The story itself is so charming, as well as the setting, and it evokes such a strong positive message that it’s an instant hit. 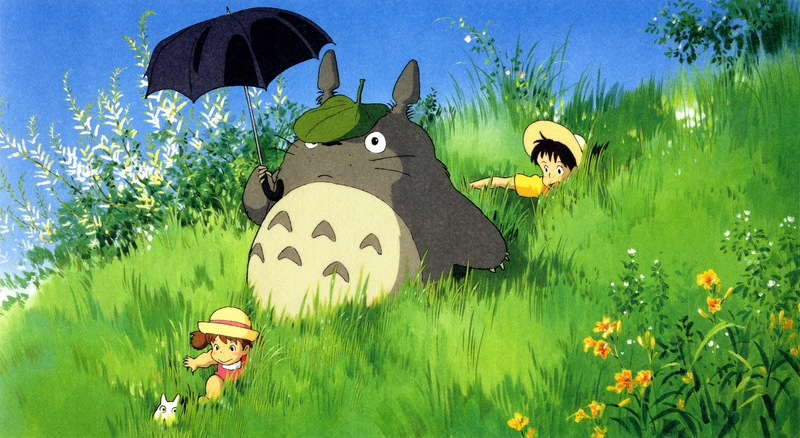 My Neighbor Totoro is the film that would always be on the agenda to watch whenever my friend Angela would sleep over. IT’S JUST SO FREAKING CUTE. Totoro is probably one of Miyazaki’s more well-known films, and it’s just so charming. The story is of a father and his two young girls, Satsuki and Mei, who move into an old house to be closer to their mother, who is recovering in a hospital nearby. Satsuki and Mei discover that the house, as well as the surrounding woods, are enchanted by various mystical creatures, such as Soot Sprites, and a few bunny-like creatures. They also discover deep in the woods lives Totoro, a gentle bear-like creature, who is a forest deity. Totoro and his friends only appear in situations of stress or despair, but when they leave, they help improve whatever situation the girls are in. The whole film is filled with cuteness. Not only is their Totoro, but there is also a Catbus. A CATBUS. My Neighbor Totoro is just such a whimsical movie that I recommend it to everyone, and it’s definitely a classic. By far my favorite Miyazaki movie, it tells the tale of Sophie, a young woman who feels inadequate and unattractive. One night, she gets bewitched by the Witch of the Wastes, and is transformed into an old woman. While trying to find a solution to lift the enchantment, Sophie encounters the wizard Howl and his walking house, and takes up residence in his home as his cleaning lady. 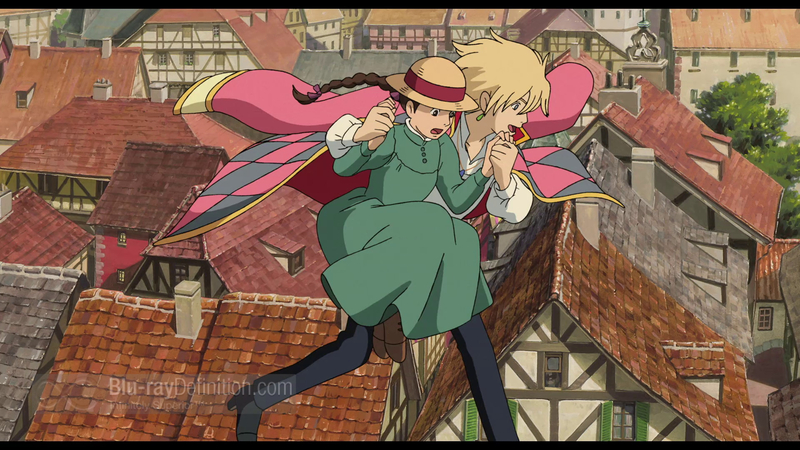 During her time in the moving castle, Sophie discovers a lot about Howl and his powers, along with his dark secret. You’ll have to watch the movie for yourself to get the full story. This film is the most moving to me (not a pun), as it has as strong female lead that I relate to quite a bit. It’s a beautiful story that’s genuinely unique—adapted from a novel by the same name—with vivid characters, and lovely music by Joe Hisaishi. Also, Howl is gorgeous, and he’s voiced by Christian Bale in the English version. As much as I love all of the films on this list, Howl’s Moving Castle will always evoke great emotion in me because of its whimsy, charisma, and gentle elegance. I highly recommend this movie. What are your favorite Miyazaki movies? Have you ever seen one, and if not, would you? Write in the comments below! I was always a fan of the movies from Studio Ghibli. One of my personal favorites was Spirited Away and The Cat Returns. There was always a charm in those movies that I liked about them.